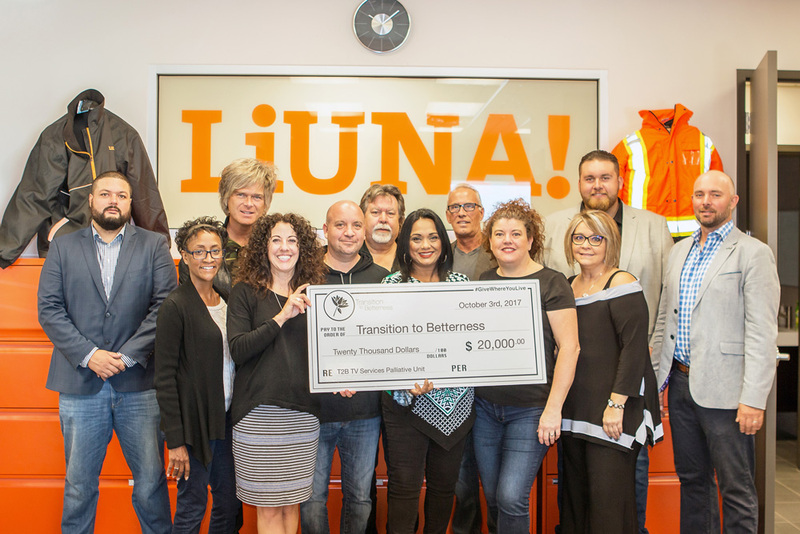 Congratulations to the incredible fans and sponsors that make LiUNA! Bluesfest possible and our annual commitment to ‘Give Back’ to a charitable organization serving the WindsorEssex region. Once again, Transition to Betterness (T2B) was our designated charity for 2017 and we are pleased to announce a donation of $20,000 was made possible… twice the amount as in 2016! These funds will benefit the T2B Supportive Care Unit – the Stephanie and Barry Zekelman Wing of Hôtel-Dieu Grace Healthcare’s Tayfour Campus. Without you, this contribution would not be possible.